Synergy’s flagship product is featured in the world’s most authoritative source of drug information. 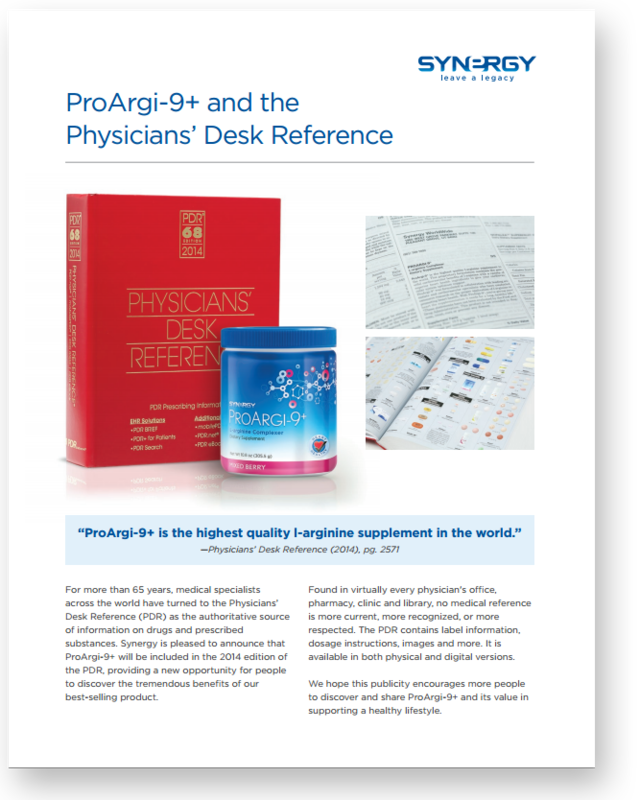 The Physicians’ Desk Reference (PDR) can be found on the shelf of virtually every medical and pharmaceutical professional in North America. The inclusion of ProArgi-9+ lends to the credibility and publicity of the product. If you would like to share this news with others, download this explanatory flyer as a helpful resource. We hope that the number of people enjoying the benefits of ProArgi-9+ continues to increase along with your success. For more details about ProArgi-9+ and the PDR, click here. Also, see the “resources” tab above for other helpful tools. North America has its first Duplication Bonus Earners! We would like to congratulate Tommy Bethards and David Johnston for hitting this milestone and earning extra cash. Last year they conquered the Top 50 Challenge, and this year they are committed to making the most out of the Activity Bonus Program. Earlier in the month, just after learning about the program, Tommy and David sought out two new customers along with two great new Team Members, Alexander and Kathleen. Doing so earned them a quick $50 Personal Activity Bonus (PAB) and created potential for duplication and real business building. The next step for Tommy and David was to work proactively with Kathleen and Alexander, helping them to earn their own PABs. Alexander, a college student, quickly found two new customers and, for his first time ever, sponsored a new Team Member! Well done Alexander! Kathleen, also a student, followed suit not long after. Upon receiving her first check, Kathleen called Tommy, excitedly thanking him and expressing her enthusiasm for the business opportunities ahead. Both Alexander and Kathleen have much to be excited about. Simply adding their Personal Activity Bonuses to their Fast Start Bonus and commissions this month results in a nice chunk of cash sure to help any student’s budget. As for Tommy and David, their hard work has earned them $300 just in Activity Bonuses this month, and the foundation of their Mega-Match-earning business is now stronger than ever. Have you earned your own Personal Activity Bonus this month? If so, how about your Duplication Activity Bonus? Are you increasing the amount of newly sponsored Team Members in your pool for future Duplication Activity Bonuses? 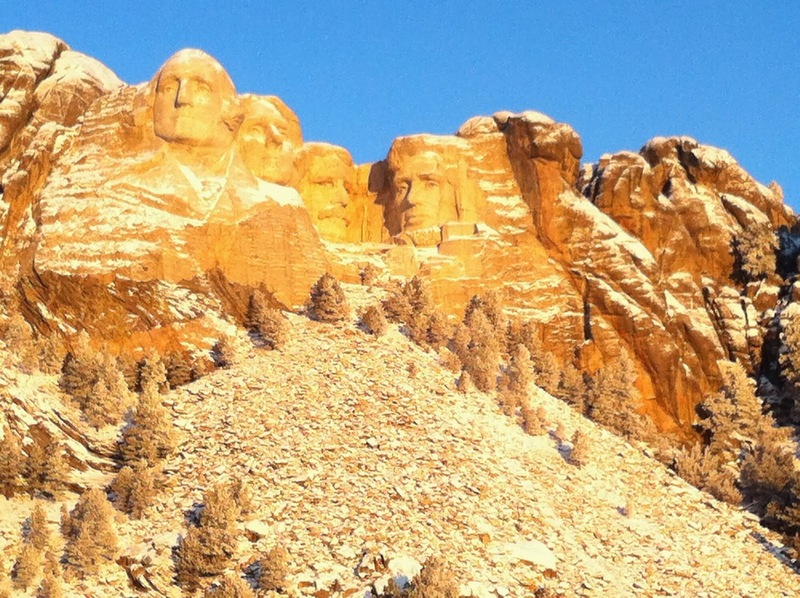 There’s still a week left to maximize your February foundation! Remember, you have until midnight this Friday to submit your forms and claim your cash! For more information about Personal Activity Bonuses and our Activity Bonus Program, click here. North America’s biggest Synergy event may still be a few months away (it all starts Friday, May 9), but now is the best time to register. Doing so before February 28 will save you $20 and ensure your spot at the occasion not-to-be missed. 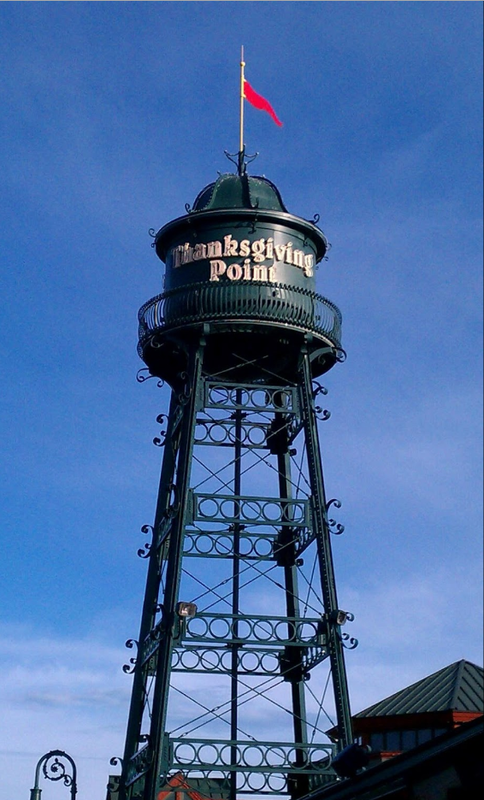 The majority of this year’s conference will be held at the beautiful Thanksgiving Point in Lehi, Utah. This venue is located only 30 minutes south of the Salt Lake City airport, and only 10 minutes north of Synergy’s corporate headquarters. Thanksgiving Point was recognized as the “Best of State” venue for events and performances. Don’t forget, though, that the first session of the 2014 Business Builder Conference will be held at the Nature’s Sunshine/Synergy WorldWide manufacturing facility in Spanish Fork, Utah. Here you will be guided through a series of workshops by scientists and experts for an unrivaled education in health supplement production. For directions to this facility, click here. Synergy WorldWide’s Business Builder Conferences have become known as the essential yearly events for serious business builders. Featuring the perfect blend of training, education, celebration, recognition, fun, launches and team building, its no wonder that Synergy’s top leaders continually encourage their team to attend. We have many exciting things in store for our 2014 Conference attendees. Please visit the conference website for a general agenda, hotel/accommodation options, an FAQ page and more. We are confident that those who choose to be a part of this event will be making a choice that will amplify their abilities to build a successful business. Remember, register before February 28 for a $20 savings! Celebrate National Heart Health Month with the combo pack carefully formulated to provide your heart with health-promoting compounds. 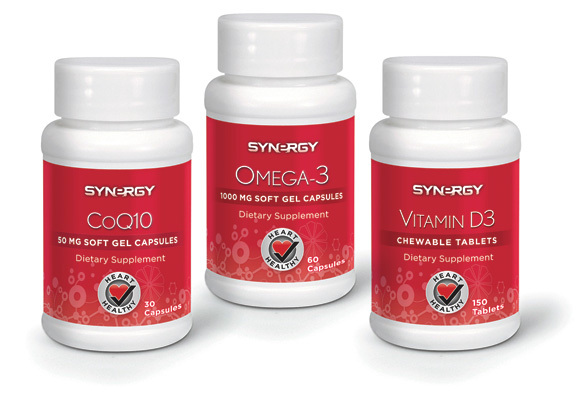 Synergy’s Vitamin D#, CoQ10 and Omega-3 serve as phenomenal companions to ProArgi-9+. Together, these powerful products will work to protect and sustain your heart. The new Activity Bonus Program is already producing some exciting success and reinforcing the right activities to grow your Synergy business. We would like to recognize a few more of the PAB achievers from this week. Impact Health Marketing, our #1 achievers in last year’s Top 50 Challenge, continues to move business forward by sponsoring new Team Members and Customers. They actually sponsored two new Team Member’s at over 500 CV each, though only one was needed to earn the PAB. Now, Impact Health is working hard with these two new Team Members to help them earn their own PAB this month. This, of course, could earn Impact Health Marketing a Duplication Activity Bonus (DAB) for each of the two Team Members– potentially another $250 in extra bonus money. 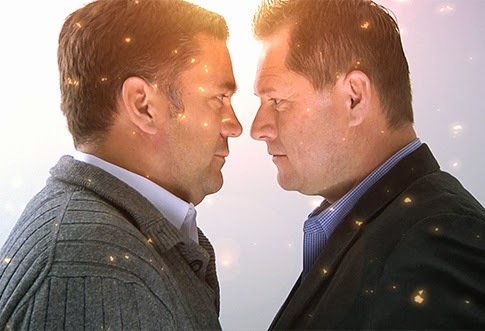 The best part, however, will be the increase in Basic Commission and the best part of the Synergy plan – the Mega Match! Pamela Krajnik, another of 2013’s Top 10 point earners, a member of our North American Advisory Board, also earned her first PAB. She earned it by sponsoring one new TM at 300 CV and two new Customers at 100 and 170 CV. Pam has increased her confidence and skill level in the business at an amazing rate within the past year. She is doing daily personal development and understands how to INVITE others to take a look at Synergy’s products and opportunity. Congrats Pam! We are big fans of yours! Fred Girbert, recently started his Synergy business and caught fire in the Top 50 Challenge as well, earning a spot in Cancun after plenty of hard work. Now, Fred has earned his first PAB. He sponsored one new TM at 300 CV and two new customers, one at 200 and the other at 100 CV. He made this happen in a few different ways: The one TM and one customer were introduced to Fred at a local health fair. Fred was meeting a lot of people that day and simply sharing the information about good health. Some people purchased product directly from him, but these two wanted to purchase directly from the company! So Fred made it happen. He plans to meet with the brand new TM next week to get him going Synergy. As for the second of the two customers, he came as a referral from another customer. This goes to show that taking care of your customers, ensuring they have a good experience, will lead to happy people willing to share that experience with others. Congrats to this first handful of PAB earners! We commend you for catching the vision of the Activity Bonus Program. Now, as you work toward your first DAB’s, we wish you the best of success.